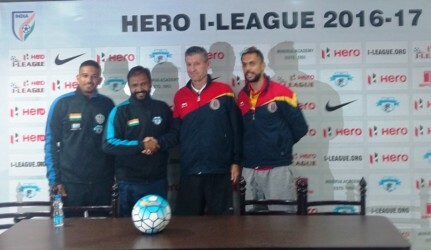 Despite of a tough start to his team’s I-League debut season, Minerva Punjab FC Head Coach Surinder Singh today warned that the newcomers are not to be taken lightly and they will give it a go against East Bengal FC tomorrow as they host the Kolkata giants in their first ever home game at Guru Nanak Stadium. “We’re playing to win three points,” said the former Pailan Arrows Assistant Coach. The Punjab-based team has played four matches thus far in the league where they faced three defeats and drew another, salvaging only one point and are at the bottom position in the standings. 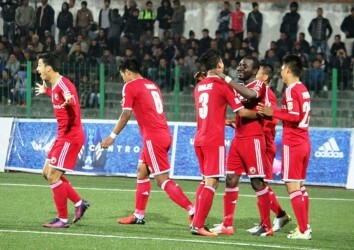 Surinder Singh was specific about his team’s previous fixtures when he revealed that his team has been learning from the previous mistakes. “We are taking only the positives from our previous games and stepping into tomorrow’s home game,” the Minerva Punjab coach said. 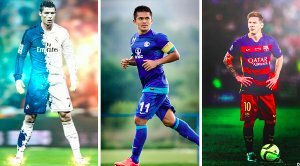 Finishing in the final third has been a huge problem for the Punjab-based side this season as the trio of Manandeep Singh, Filatov and Joel Sunday all have failed to create any impact on the Blues’ game. However, Manandeep Singh who accompanied the Minerva coach to the pre-match conference today in Ludhiana was confident about tomorrow’s game where he told that his team expects nothing less than three points and also the first ever home win in the league for the club. However, Surinder Singh admitted that lack of goals has been a problem for his side in this season but was delighted to reveal that no injury woes currently concern his side. The 43-year old also revealed that Technical Director Colm Toal has taken charge of the squad and his inputs shall benefit immensely a team shorn of confidence. 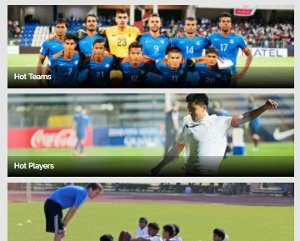 It has been six long years since Indian top flight ootball was in Punjab since JCT in the 2010-11 season.